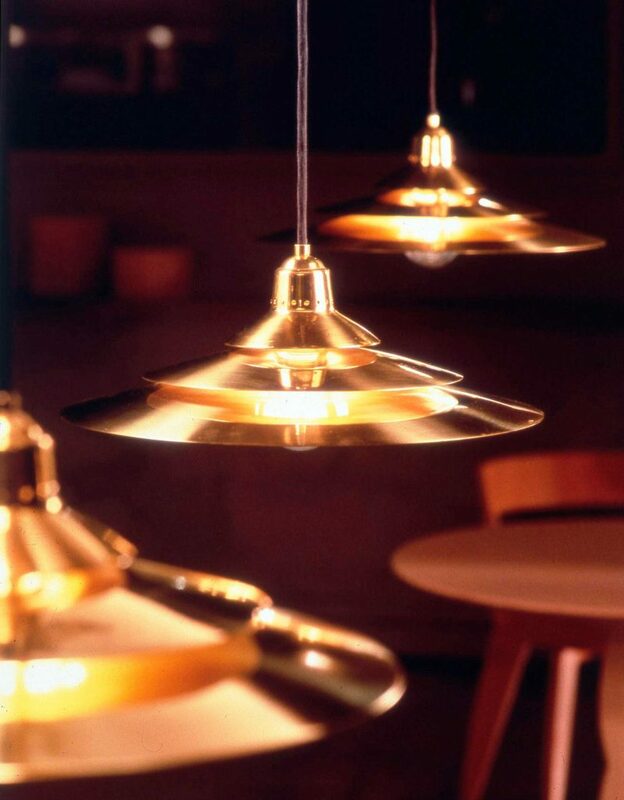 Even actually out of the market the Cymbal Ceiling lamp demonstrated through more than ten years its long lasting aesthetic and commercial value. 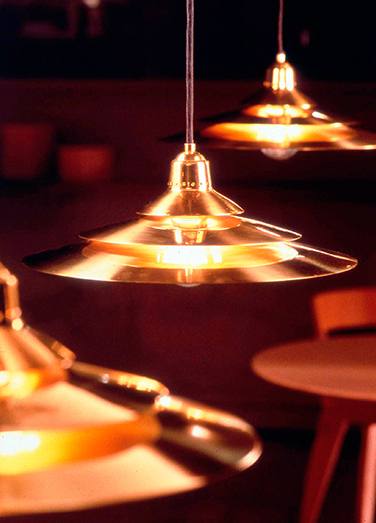 Inspired by Scandinavian design the three brass plates filters the incandescent light into a warm diffuse reflection. 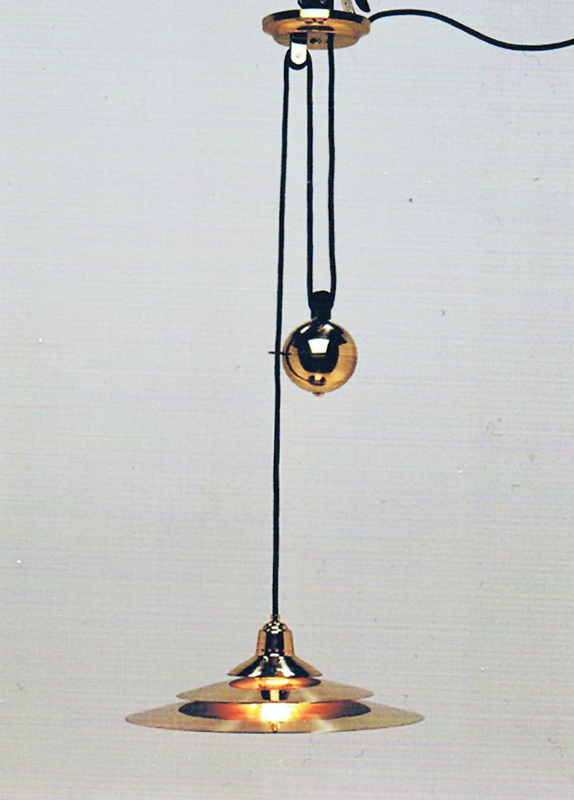 The spherical counterweight makes it easy to raise and lower it to the required height. A pesar de no estar ya en el mercado actual la Cymbal de techo ha demostrado durante mas de diez años su valor estético y comercial. 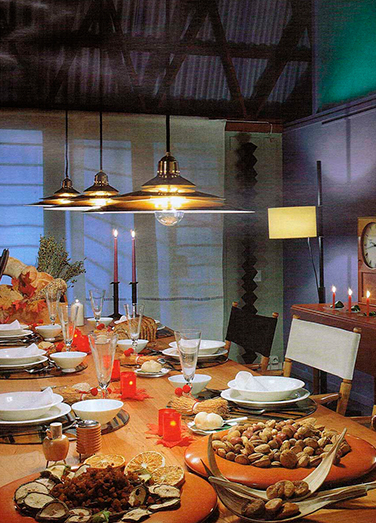 Inspirada en el diseño escandinavo, los tres platillos de latón tamizan la luz incandescente en cálidos reflejos. Con el contrapeso de forma de esférica se sube y baja para conseguir la altura requerida. Obwohl die Cymbal Hängeleuchte derzeit nicht mehr auf dem Markt ist, hat sie während mehr als zehn Jahren ihre ästhetische wie auch kommerzielle Güte bewiesen. Inspiriert vom skandinavischen Design, filtern ihre drei Messingteller das direkte Licht in angenehm milde Lichtreflexe. Das kugelförmige Gegengewicht ermöglicht eine problemlose Justierung nach oben und unten.